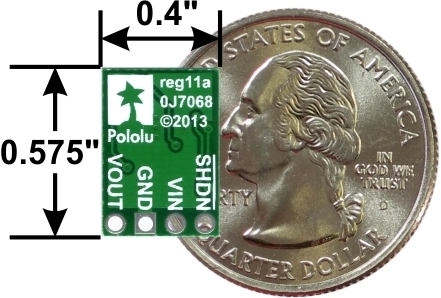 The Pololu step-up/step-down voltage regulator S10V4F5 is a switching regulator (also called a switched-mode power supply (SMPS) or DC-to-DC converter) with a single-ended primary-inductor converter (SEPIC) topology. 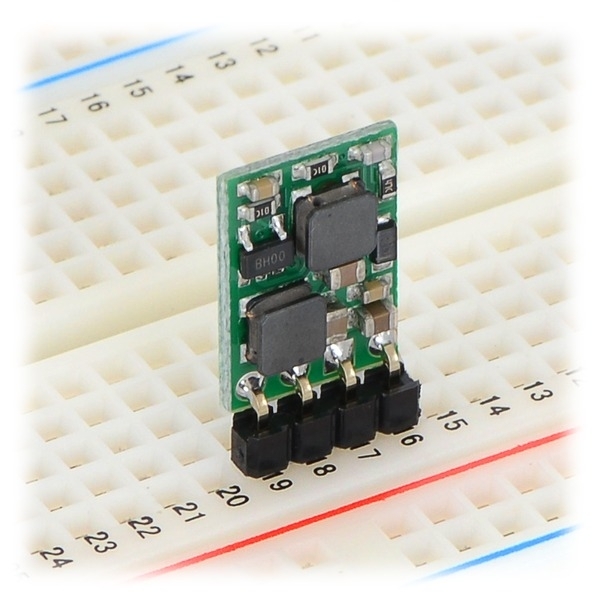 It takes an input voltage from 2.5 V to 18 V and increases or decreases the voltage to a fixed 5 V output with a typical efficiency of 70% to 80%. 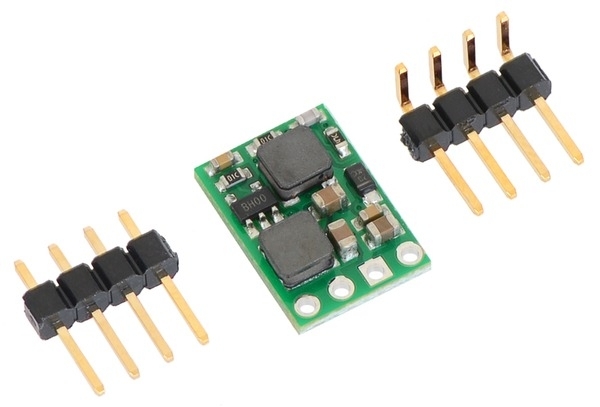 This flexibility in input voltage is especially well-suited for battery-powered applications in which the battery voltage begins above 5 V and drops below as the battery discharges. Since it lacks the typical restriction that the battery voltage stay above the required voltage throughout its life, new battery packs and form factors can be considered. For instance, a 4-cell battery holder, which might have a 6 V output with fresh alkalines but a 4.8 V nominal voltage with NiMH cells and a 4 V output with partially discharged cells, can now be used for a 5 V circuit. 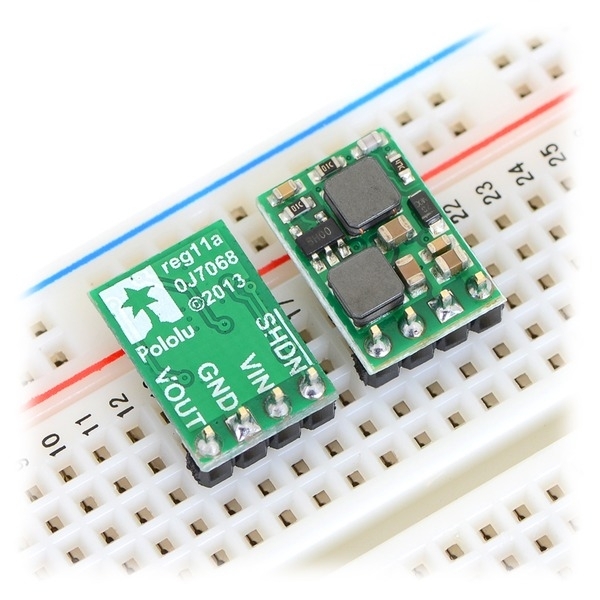 In another typical scenario, a disposable 9 V battery powering a 5 V circuit can be discharged to under 3 V instead of cutting out at 6 V, as with typical linear or step-down regulators. In typical applications, this regulator can deliver over 400 mA continuous; please see the graphs at the bottom of this page for a more detailed characterization. The regulator’s thermal shutdown prevents damage from overheating, but it does not have short-circuit or reverse-voltage protection. 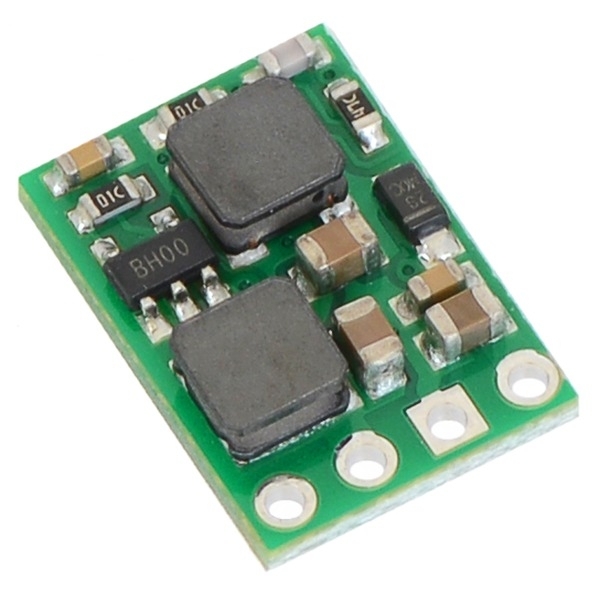 This regulator is also available with a fixed 9 V output or a fixed 12 V output. The efficiency of a voltage regulator, defined as (Power out)/(Power in), is an important measure of its performance, especially when battery life or heat are concerns. As shown in the graphs below, this switching regulator typically has an efficiency of 70% to 80%. 2. Typical. Actual continuous output current depends on input voltage. 3. While enabled (SHDN floating) with no load. Actual quiescent current depends on input voltage.